Tara has been a member of our therapy team since 2012 and has over 12 years of clinical experience. Since graduating from the Master’s of Physical Therapy program at Quinnipiac University, she has had the privilege of practicing in a variety of physical therapy settings across the country. Tara’s primary focus has been in the orthopedic and sports medicine setting, working with a variety of orthopedic, sports, and post-operative patients. She continues to actively pursue post graduate educational courses for a variety of orthopedic, neurological, and sports related injuries, with focus on broadening her manual therapy skills, including advance coursework through the North American Institute of Manual Therapy and Institute of Physical Art. Tara is a Hospital for Special Surgery credentialed advanced hip clinician. She is certified in Dry Needling and is a Graston Technique provider. Tara is an active member of the American Physical Therapy Association. When not at work, Tara enjoys spending time with her husband, paddle-boarding, hiking and dining. Amanda joined Connecticut Family Physical Therapy team in 2015. She graduated from Sacred Heart University with a Doctorate degree in Physical Therapy. More importantly, Amanda has years of experience as an orthopedic physical therapist. Therefore, she is one of few Board Certified Orthopedic Clinical Specialists in Connecticut. Her advanced training includes manual therapy, returns to sports, performance exercise, and Graston techniques for more immediate effects. In college, Amanda played Division 1 field hockey for the University of Maryland, Baltimore County (UMBC). She remains active in the sport, therefore, continues to coach youth field hockey teams in Fairfield County. As a triathlete and an avid runner, Amanda enjoys spends her free time training and coaching. She often competes in CrossFit, and besides that, she also competes in half marathons. She loves helping her clients reach their goals; It is the reason she became a physical therapist! Carolina graduated from the University of Toronto in 1998 and has been working as a licensed Out-patient orthopedic Physical Therapist for over 17 years. She has extensive experience in treating a variety of orthopedic conditions and has worked in only private settings both in Toronto, Canada and in Connecticut (Fairfield County). Shortly after graduating, Carolina received her diploma in Advanced Manual and Manipulative Physiotherapy from the Canadian Physiotherapy Association. Carolina specialized in a variety of orthopedic injuries, including Sports, Back/Neck, traumatic, post-operative and overuse injuries. Carolina is a Gaston Technique provider. She is a firm believer in combining both Manual therapy techniques with customizes exercises to see maximum results for her clients. Carolina is thoroughly active outside of the clinic in Westport, CT. She enjoys volunteering in her children’s school and is an active volunteer for the Girl Scouts of Connecticut. She enjoys spending time traveling with her husband and 3 children and experiencing new places. Debby has over 30 years of experience as a physical therapist having worked in hospital, nursing home, out-patient and home environments. She is a graduate of Ithaca College’s Physical Therapy program and received her Master’s degree in Exercise Physiology from Long Island University. Debby is a Board Certified Specialist in Orthopedic PT, a credentialed McKenzie Practitioner, and a Certified Aging in Place Specialist. Debby has also completed multiple seminars in the gentle, effective manual therapy technique Strain & Counterstrain. Debby is particularly interested in helping to prevent falls and utilizes the program developed via the Connecticut Collaboration for Fall Prevention as part of balance and gait programs at the clinic. 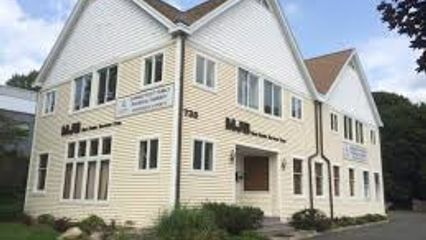 She has presented talks on the subject to the community in conjunction with the Westport/Weston Health district staff, and now has a complementary business providing home safety and accessibility consulting (www.stayputstrategies.com). Her expertise with the McKenzie Method, a unique approach that emphasizes education and active patient involvement in management of their condition, helps clients quickly relieve pain and restore function and independence. Caring and creative, Debby works with clients to identify the key issue(s) that contribute to the problem that brings them to the clinic, and develops solutions that incorporate home programs and skilled therapeutic techniques to get results. Debby is excited and enthusiastic about helping others both professionally and as a volunteer in the local community. In addition to regularly taking professional development courses, she has been a volunteer with local groups such as the CT. Humane Society, the Westport Country Playhouse, and Habitat for Humanity of Greater Bridgeport. Benjamin graduated from Sacred Heart University’s Doctor of Physical Therapy program in 2013, with a great passion for Orthopaedics. He was then accepted into an Orthopaedic Residency Program, a year long process of sharpening his skills as a clinician to efficiently evaluate, diagnose and treat a wide variety orthopaedic conditions. This program propelled him forward into becoming a Board Certified Orthopaedic Clinical Specialist in Physical Therapy. He has enjoyed helping young adult athletes and dancers return to pain free performance following injury and/or surgery, as well as working with adults recovering from recent total joint replacements at the knee, hip, shoulder and ankle. One of his favorite aspects about physical therapy is the amount of time and attention he is able to give to his clients. He listens to his client’s concerns and works with them to develop a successful plan for return to function. He loves to be challenged by complex cases, however, he also understands the importance of careful collaboration and teamwork with both clients and their doctors to achieve the best result possible. Ben is excited to continue growing his skillset in the orthopaedic realm. He is a Level 2 Expert Practitioner of Instrument Assisted Soft Tissue Mobilization, which is helpful in relieving muscular issues. A majority of his continuing education has focused on advanced manual assessment and treatment of various orthopaedic conditions across the human body. As an APTA Credentialed Clinical Instructor, he also harbors a passion for teaching students and helping them grow in their clinical reasoning skills. In his free time, Ben loves to spend time with his wife by cooking, watching movies, and singing/playing music together. They love to travel together and explore new destinations, both domestically and internationally. He and his wife are also actively involved in their local church. It gives Ben great joy to care for people and help others by using his skills and expertise in physical therapy.